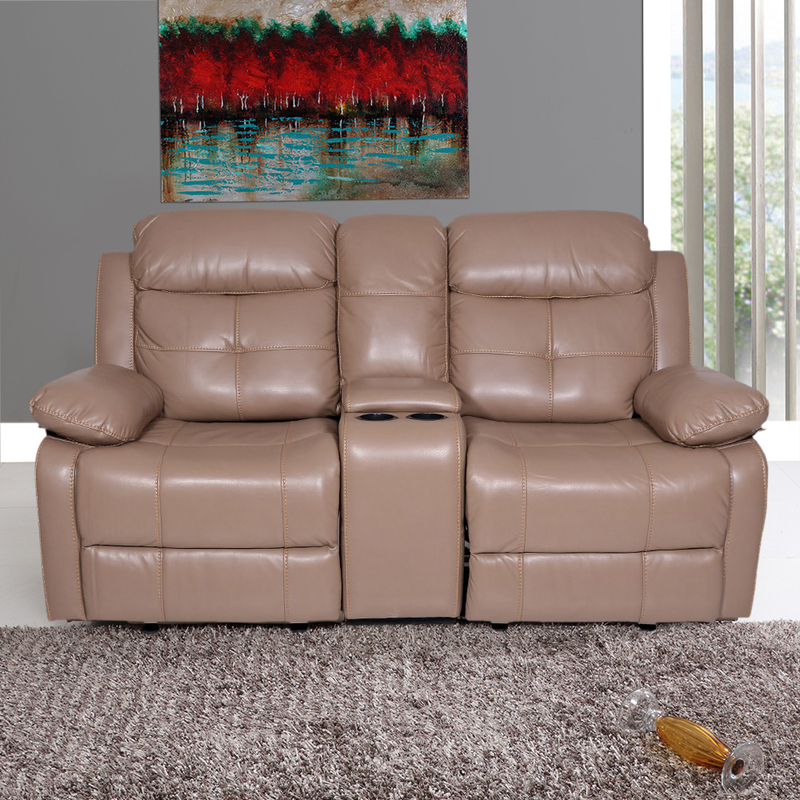 A rich shade of camel, the Alex Leatherette Recliner Sofa With Glider is truly a piece like no other. This premium two-seater features thick air leather, which requires very low maintenance or cleaning. It derives its breathable quality from the special fabric finishing made of Polyurethane, which enables proper airflow through the leather. The perfect choice for a company of two, these recliners are ideal for a couple looking forward to relaxed evenings, or friends gearing up for a game night. The Alex set is also super convenient, as it comes with a USB port to charge your phone as well as two cup holders. You can choose to buy this piece from our online furniture site, or visit any of our 25 furniture stores across India for the best deals in home furniture.